The decision was made on October 1st, 2010 by the Executive committee of the Lviv City Council (LCC) on the ban of beer retailing after 10 pm, was suspended — until decision making on the merits — by the Halytskyi district court where the prosecutor addressed. However, the LCC Executive committee made the similar decision again on December 20th, 2010. 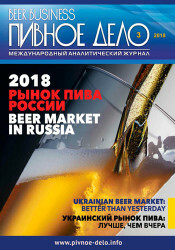 The Law of Ukraine "On Amendments to Certain Legislative Acts regarding Restrictions on Consumption and Sale of Beer and Low-Alcohol Beverages" as of January 21, 2010 (No 1824-VI, Articles 15-2, 15-3) determined a comprehensive list of such restrictions. 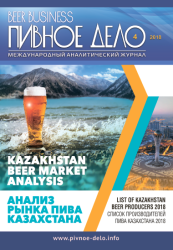 According to the above document the local administration is unauthorized to put extra restrictions on the sale of beer except for the cases of mass events. Under the current legislation, such regulatory decisions can be made only by the City Council sessions. Whereas in this case the decision was made by the Executive committee of the city council. Currently, Public Joint-Stock Company Slavutich Brewery has entered an appeal of unlawful actions of the city administration to the prosecutor's office of the city. We would like to remind you that the similar decision to ban the sale of beer after 10 pm was made by the Ivano-Frankivsk City Council. 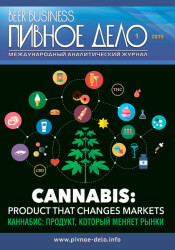 Later it was appealed by the prosecutor, and on January 1st, 2011, the court decided to cancel the corresponding decision of the Ivano-Frankivsk City Council as illegal. Natalya Bondarenko, Legislative Director at "Slavutich", Carlsberg Group: "Public Joint-Stock Company Slavutich Brewery is a responsible player in the beer market. Therefore, we fully support the ban of beer sales to non-adults, actively promote moderate consumption and healthy lifestyle. At the same time I want to emphasize that the law applies to everyone, so we strongly oppose its violations both by the market participants and state and local authorities."